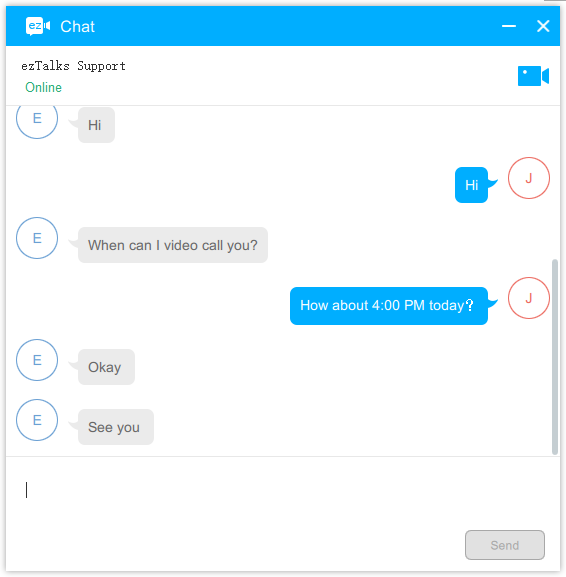 How to use Instant Messaging with ezTalks? 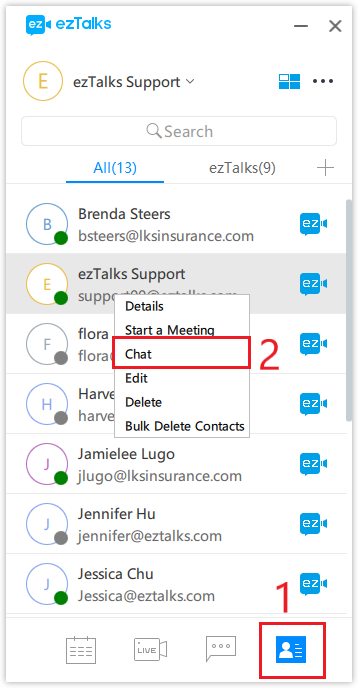 You can send instant messages to your contacts on ezTalks apps for Windows, Android, iPhone and iPad. This article is about how to do instant messaging with ezTalks. Step 2 Then you can send messages to your contact. They can see the messages once they log in the ezTalks app on a Windows computer, android phone or iPhone/iPad. All the chats from will be shown on the Messages page as below. 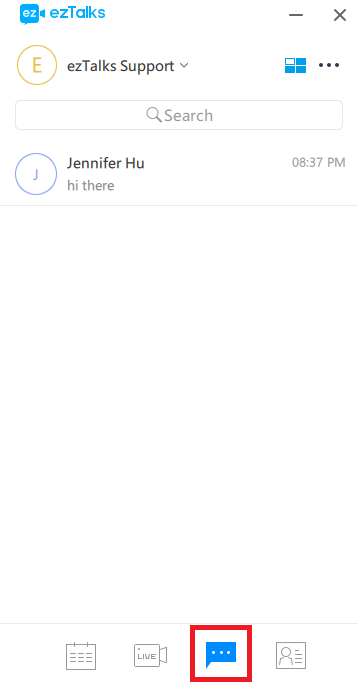 Step 2 Click on one of the Contacts and choose Chat. They can see the messages once they log in the ezTalks app on a Windows computer, android phone or iPhone/iPad. Please note: you can also start a group chat on the ezTalks mobile apps. Please click here to get more information.